Anyone involved in pig farming is well aware of the many challenges it presents. Not only do pigs pass through very specific stages of life; each of which requires specific pig housing and feeding methods, but the seasons also pose challenges. For example, there are almost no regions of the world in which pig farming is done that don’t also experience summer heat. If you are experienced in pig farming, you might already know that pigs “naturally remove body heat during periods of heat stress through a combination of accelerated respiration, decreased feed intake, increased water consumption and adjustments in physical activity and movement.” (National Hog Farmer) Yet, you might also wonder if there is anything you can do to support their need to remain cooler during the increased temperatures of the summer months? Adjust feeding – Pigs naturally lower their food intake when it is a period of higher temperatures. To ensure they get the nutrients they require can be challenging. Fortunately, we have pig feeding systems that make it much easier for you to increase nutritional density for your growing pigs as well as sows currently lactating. Calorie density can be boosted by additional fat, and our various feed systems are a good answer to summer feeding challenges. Cooling – Why require the pigs to do all of the work? You can turn to our pig housing systems and equipment to ensure that interior temperatures are under control. For example, your pig housing should always have thermostats, fans and exhaust fans, sprinklers and even cooling cells. Be aware that your sprinklers need to be adjustable to prevent humidity levels from becoming uncomfortable within the pig housing areas, and ventilation is essential at such times, too. Patience – Pigs are much more lethargic and easily fatigued during high temperature seasons. Give them time to move if you are transferring to another area of pig housing. Be sure to eliminate feed at least 12 hours ahead of time if you are transporting them in hot weather, too. You can help to keep your pigs more comfortable and at peak performance even in hot weather. 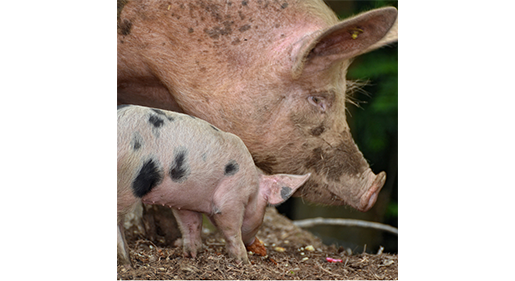 Contact the team at IDS to see how we can help you optimise pig housing and pig systems.